When it comes to creating documents, spreadsheets, databases, and presentations, MS Office is the suite that comes to mind. But let’s face it: Office is a pricey piece of software. Thankfully, there are cheaper alternatives out there, but they don’t always live up to their promise. LibreOffice offers up a free alternative, and we found it on par with its more popular competitor. LibreOffice opens with a main menu that let us select which application we wanted to use: Base, Calc, Draw, Impress, Math, and Writer. Each application’s interface will look very familiar to you if you’ve used MS Office products. 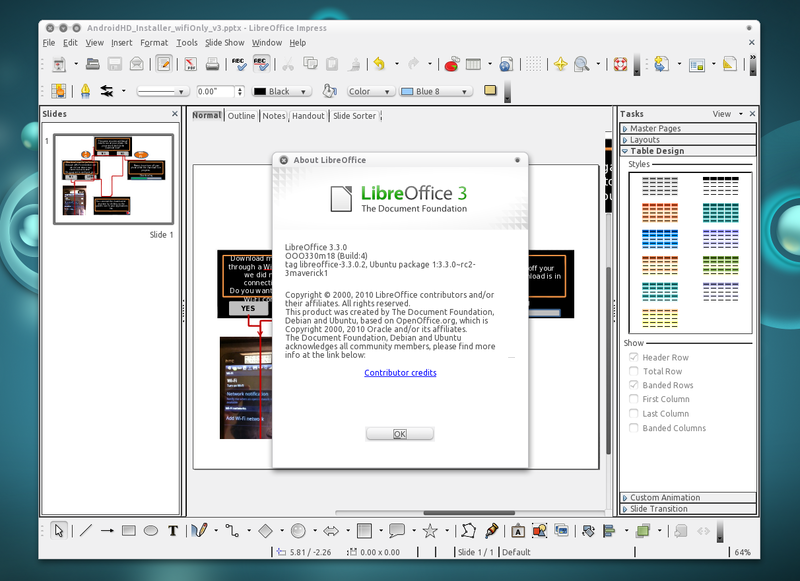 We started with LibreOffice Writer, the suite’s word-processing application. We typed up a document and formatted it without any issues. The application saves documents as .odt files by default, which cannot be opened by MS Word. But to solve any compatibility issues, it does allow you to save it as a .doc file. We proceeded to check out Calc and Impress, the suite’s spreadsheet and presentation programs. Like Writer, each program introduced a familiar interface. We were able to bypass the default .ods and .odp file types to MS file types and open them without any issues. And the Math and Draw applications were just icing on top of the cake of this capable suite of tools. Should you need it, each application includes a link that takes you to the Web site for support. LibreOffice installs and uninstalls cleanly. Its tools work just as well as their pricey competitor’s, and it’s free. What else can we say? We highly recommend the program.